Colleen LaRose (47), also known as Jihad Jane and Fatima Larose has been indicted in Philadelphia today charged with conspiracy to provide material support t terrorists, conspiracy to kill in a foreign country, making false statements to a government official and attempted identity theft. (Katherine Herridge on FOX says LaRose is not the first American woman to be so-indicted, but is a member of a very small number of women indicted for terrorism. – a few hours later, I’m listening to Herridge confirm that LaRose is the first American woman indicted for terrorism.) See a video below. See updates below. Herridge also says that it is odd that the FBI has not released the name of the terrorist organization LaRose is working with, but has information that it may be the Somali group Al Shabaab Mujahideen. indictment further charges that LaRose stole another individual’s U.S.
facilitate an act of international terrorism. tracked the intended target online in an effort to complete her task. culminating in a direct order to LaRose to commit murder overseas. who threaten us try to be,” said Special Agent-in-Charge Janice K.
sentence of life in prison and a $1 million fine. 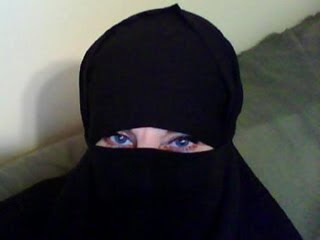 is being prosecuted by Jennifer Arbittier Williams, Assistant U.S.
Read Howie and Rustie at The Jawa Report for more, including tracking Jihad Jane’s YouTube accounts and suspension for more than a year. The photo above is identified as LaRose at both The Jawa Report and Internet Anthropologist Think Tank. This report says LaRose has been in custody since October 15th [other reports say the 16th], 2009. She appeared in court the next day, but did not enter a plea. She has a public defender who is not returning calls. Katherine Herridge is on Fox at 6:03 EST time saying seven arrests in Ireland are a part of this conspiracy. About Colleen LaRose being the first American woman indicted for terrorism, the DOJ told FOX they could think of only one other woman charged with terrorism, attorney Lynne Stewart, who defended the Blind Sheik and was convicted on charges of conspiracy and providing material support to terrorists. The U.S. Court of Appeals confirmed her conviction. She began serving a 28-month sentence on December 2, 2009 but she will be re-sentenced on April 22, 2010, which appears to mean that the 2nd US Circuit court of Appeals believes the judge did not apply a properly harsh sentence, and he has been directed to resentence Stewart. ← Nancy Pelosi Grip Slipping? Democrat Caucus is Every Man for Himself Now?